Bramco Electronics will highlight its b3 range of electronic products for the mining industry on Stand 7405 at AIMEX. 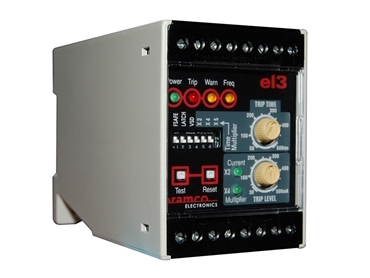 Described as Bramco’s “next generation of products”, the b3 range includes earth continuity relays; earth leakage relays (fascia and DIN mount); neutral link monitors; module remote interfaces with flameproof buttons; isolation barriers; and combination relays. According to the company, the b3 range features innovative technologies, compliance with current industry standards, and assembly via surface mount technology and automated process machinery. Australian-owned Bramco, which has supplied products to the mining industry since 1945, says its products are ideally suited to extreme environments and exposure to mining applications for commodities such as coal, copper, gold and manganese. The company’s services cover energy distribution, electric power systems (including switchgear), short-haulage and long-distance conveyor controls, industrial communications, and tailored and engineered electronic solutions. “Bramco products are also suited to heavy and general industries where monitoring, protection and safety services are paramount,” said Leigh Kenny, the company’s technical writer.